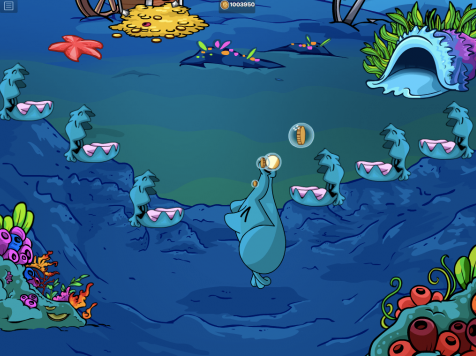 Club Penguin Cheats by Mimo777 Club Penguin Cheats by Mimo777: Mmmm Sushi? Since Club Penguin's announcement about "My Penguin" a lot of people have been questioning about the sushi plate in the of CP's pics. Is it to feed your Penguin? 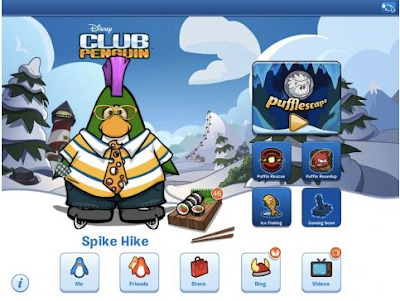 Or your Puffle? Or something else? Well since the secret is finally out, here's what it is! 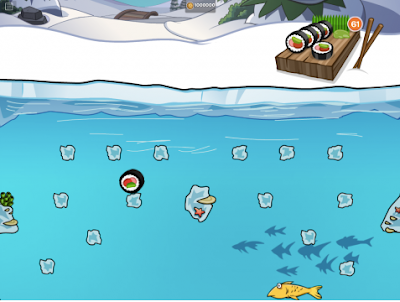 Sushi Drop: A brand new game that is EXCLUSIVE to My Penguin. When you use the app by reading the blog, watching a video, or playing a game, you get rewarded with sushi! Kinda strange but the more you use My Penguin, the more sushi you can collect. Each piece of sushi gives you a turn in Sushi Drop. You can drop your sushi and nudge it by tapping to make bubbles in the water! And if you hit a fish on the way down, you earn coins. On the water's bottom, there are hungry clams to eat your sushi! I didn't know clams ate sushi! The bigger the clam, the bigger your reward. 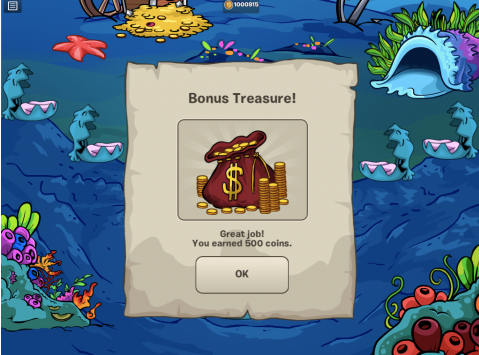 You can earn coins and items by playing the game. The items you can win can are only available in Sushi Drop! It sounds like a quick, fun, great way to earn rewards! I can't wait for My Penguin to come out next week, May 9th for iPad! For those who are on iPhone, iPod Touch, or Android the app isn't available. CP hopes to get there one day soon. There will be lots of surprises for mobile this year in store and this is only the beginning! What do you think of the new app and game!? You used to get so many comments I remember when I was about 10 and played this game in 2007 and you would have about 600 comments and now at 16 I got on my old laptop and noticed I had this page bookmarked and I see you have almost no comments. I just wanted to let you know some of my best memories came from playing club penguin and always trying to meet up with you on club penguin.